The Wakefield is one of Atlanta's most exclusive co-op residences. 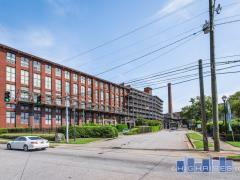 The Wakefield condominiums are ideally located in Buckhead near all the luxuries Atlanta has to offer. You'll enjoy amazing views from your oversized balcony and high ceilings, fireplace, and a formal foyer are just some examples of the finishes inside. The Wakefield services include guest suites, storage rooms, concierge, fitness center, swimming pool and gardens. Have any comments or questions about The Wakefield? Ask your question and/or share your thoughts about this Building.